If you’ve ever had the oil changed in your car, then you understand the importance of preventative maintenance. Preventative maintenance keeps your car’s motor running smoothly and efficiently. The same is true for your HVAC system. Annual preventative maintenance keeps your HVAC system running at peak efficiency all season long, minimizing the risk of unexpected breakdowns. Even low-maintenance systems require some level of preventative maintenance. Heeding the manufacturer’s suggestions for preventative maintenance will reduce the frequency and cost of repairs down the road. Fewer breakdowns: The odds of mechanical breakdowns are reduced dramatically with annual preventative maintenance. Inspections identify leaks, worn parts and other signs that could indicate future issues. If small repairs, such as belt replacements are necessary, your system can be back up and running much more quickly and economically if issues are caught before they cause complete equipment failure. To anyone who has ever spent time awaiting repairs during the hottest summer days or the coldest winter nights, this resonates as one of the most obvious – and most important – benefits. Financial savings: Not only do regular maintenance inspections prevent those unwanted breakdowns, but they also identify areas where your system may be losing efficiency due to failing parts. A well-tuned HVAC system consumes less fuel, which reduces operational energy costs. Plus, preventative maintenance keeps the equipment functioning properly for longer. Delaying the need for replacement parts or a new HVAC system by even a few years can have a major impact on your bottom line. The collective savings often offset the cost of annual preventative maintenance. A safer environment: Coolant or gas leaks can pose a threat to the air around your HVAC system. Frayed wiring or electrical shorts can also create potential fire hazards. Both of these issues can be identified and corrected through regular preventative maintenance. While general care, such as changing air filters each month, can be done in-house, it is important to schedule professional maintenance at least twice per year: in spring, to ensure proper cooling throughout summer, and again in fall before the heating system kicks into gear. It is essential to hire a contractor with the right skills, tools and experience for the job. 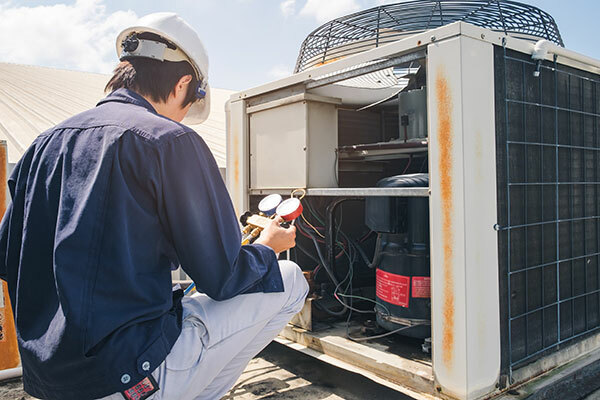 Experienced professional technicians have the necessary knowledge and skill to measure voltage and current levels, calibrate thermostats, adjust blower and system controls, ensure proper refrigerant charge and properly tighten all connections. JAX Mechanical proudly employs highly skilled service technicians who provide a range of services, from installation to emergency repair, that extend beyond preventative maintenance. JAX Mechanical Service Manager Mark Rassano states that this full range of experience and expertise allows his team quickly identify and properly address potential problems during annual inspections.